The national leader of the Landless Rural Workers Movement (MST), the economist João Pedro Stédile, is at the frontline for the liberation of former President Luiz Inácio Lula da Silva. He predicts that if Lula’s candidacy is prevented, a political crisis will become even more acute. “Nobody knows what will come out of it”, he warns. In light of this scenario, Stédile points towards a way out beyond the elections: “We, the popular movements, defend a Constituent Assembly”. Do you believe that a former President Lula candidacy is still viable? A candidacy of Lula is not viable, it’s necessary. Lula transformed into the symbol of the working class, the only door to a way out that we have so we can face the serious economic, social, environmental and political crisis that Brazil is undergoing. Lula is the only one that can galvanize these popular energies to, with his victory, create a climate for the debate of a new project for the country, to solve the serious problems that we have as a nation, as a people, and as the working class. No one else could do that in the short term. That is why the bourgeoisie, through its slave-hunters, which is what the Judiciary turned into today, by impeding his candidacy, would be committing a crime against the nation, because they will deepen this crisis even more for the next four years, and no one knows what will come out of it. Other Left-wing candidates like Ciro Gomes, or Manuela D’Ávila, or Guilherme Boulos, couldn’t play that role? We have diverse candidates, such as those mentioned, that have a Left-wing personality and nature, they are nationalists, but we are not judging the persons, nor their aims. We have to consider who galvanizes the popular energies, and none of them, because of their histories, and because of the behavior of the masses, have that synthesis. So Lula is no longer from the PT, he’s not from the Left. Lula transformed into giving and receiving life from the working class, with the poorest of Brazil. But pacing all of that responsibility on one name, on one person, doesn’t it reflect a certain contradiction with this work of mass organization? Wouldn’t Lula be responsible for a part of that crisis? Did you yourself not say that he combined with the bourgeoisie and the oligarchy? We know it was a conciliatory government, but I have to recognize that at that moment it was beyond our realizations. We need a profound political reform. We, from the popular movements, we defend the Constituent Assembly. What does Lula think about it? ‘Companheiro Stédile, politics is rotten. I’m convinced. If we win the government, we have to call for a Constituent Assembly during the first year.’ I said to him: Lula, are you serious? Can I say that publicly? And he said: ‘Anything you hear from me, you can make public.’ This is an urgent chapter. How do you evaluate the experience of the participatory budget? The participatory budget involved thousands of people in the debate. It was important as an experience of citizenship, but it only influenced about 3% of the budget, because 97% was already compromised with the banks and with the payroll. It was a great citizenship experience, yet we need to do a deep political reform. What’s the current concept of the bourgeoisie? Are they the large capitalists? That’s right, the large capitalists. The banks are going around to see who will be elected. It is the banks who rule the world today, and they work from inside and outside of the United States. So, during the coming decades there will be the need to build a new State that we still don’t know how it will be. Will that take place through the ballot box? Yes, not necessarily with elections every four years, but with popular mobilization. Through the active participation of the social movements. A democracy cannot be reduced to the vote. Its going well. What is not going well is the agrarian reform, which has been stalled for at least five years. Already during Dilma’s first term, the government did nothing. During the two years of Dilma and the current two there were no more land disappropriations. 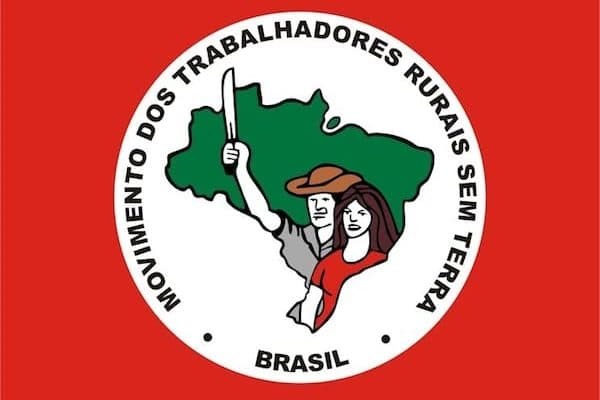 The Ministry of Agrarian Development was shutdown and the National Institute for Agrarian Reform became the platform for the business of Paulinho da Força’s party. You were accused of destroying a farm. Is that true? Correntina, in Bahia, the new agricultural frontier for soy, has a 25 thousand-acre farm. They began to plant irrigated soy. They took water from the stream, and the city of 30 thousand inhabitants lacked water for a month, and another month. A geologist revealed that the company was at fault. During mass, the priest said that it was the Japanese’s fault. The whole city went there to take out the irrigation system. There isn’t even MST in the region. Then Francisco Graziano Neto, former president of Incra during the time of Fernando Henrique and today his personal secretary, placed in his blog a fake picture with our flag, and said that it had been an MST crime. That was the version that prevailed. Should those producing fear MST? At the time of the Constituent Assembly we proposed an agreement. If they wanted, they could place it in the law: up until 3,700 acres are untouchable, we’re not interested, but above 3,700 hectares, any area that produces below the region’s average, must be disappropriated by the government.